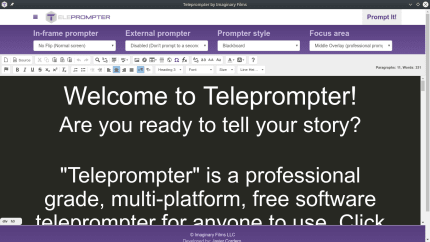 A complete, professional grade, free software teleprompter. 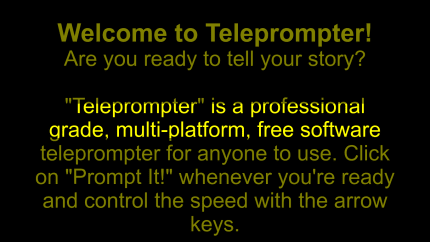 Professional grade, free software teleprompter. 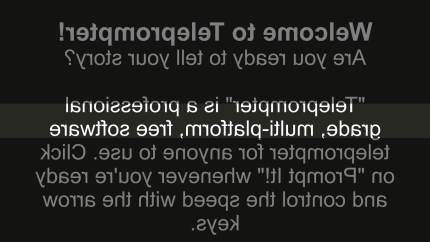 Built with web technologies so anyone can customize it. Features include: mirroring, dual-screen support, rich text editing, image support, custom styles, tablet mode, webcam mode, auto-save and accelerated graphics.